I came to this farm in 2014, and now that I’m in my fourth season, it is interesting to look back at my first impressions of Wright-Locke Farm. 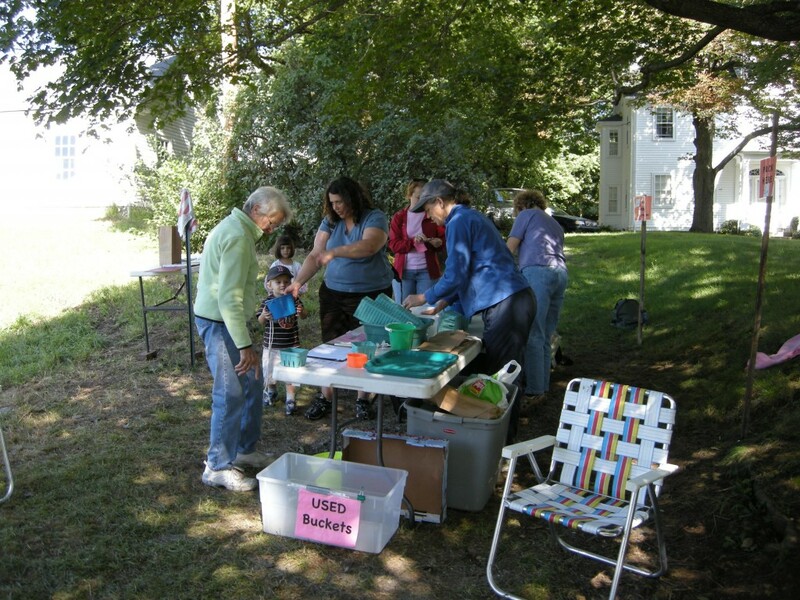 Hired as a field assistant, and having no familiarity with the area (I’m from Central Mass originally), I came in knowing very little about its recent acquisition by the town and its transformation into a community farm. To the farm’s credit, you could have told me that the farm was in its 20th or 30th year of operation as a non-profit, working and educational farm, and I would have believed you readily. When I came in, the education programs were already thriving, the fields abundant and markets plentiful, the organization had so many strong and passionate leaders, and everyone seemed to plug in with their own unique role. The truth is that, at that point, our farmer had only been there for three years, and she was the first staff member to be hired. Before Adrienne came on board, the entire operation was run by Wright-Locke Conservancy’s board and many other dedicated volunteers. Of course, the day-to-day was very different than it is now, but they still grew some organic veggies, hosted events for the community, and managed the U-Pick Raspberry crop. By the time I was hired, Adrienne had cultivated a fully-functional, small organic farm. Rebekah, our Education Director, had a complete line up of adult workshops and youth programs that always seemed to be full of excited participants and Archie, our Executive Director seemed to be effectively pushing the farm envelope. It took me a while to realize how new this was to everyone, and it was astounding to think of how far everything had come in such short amount of time. As I see it, much of the success of the farm came from the early and loving support of many volunteers who were dedicated to preserving Wright-Locke Farm. Now in its 10th year of operation, the farm has a strong and passionate staff base manning the helm. 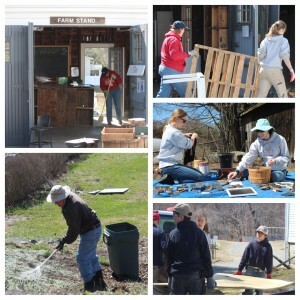 And while we still have a lot of volunteer interest and assistance from our board members, the nature of the farm’s volunteer needs have changed. Instead of needing volunteers to plow our fields, plan crop rotation, and fill managerial roles, we need people who can readily plug in under the skilled guidance of our staff and to assist with specific seasonal farm needs. 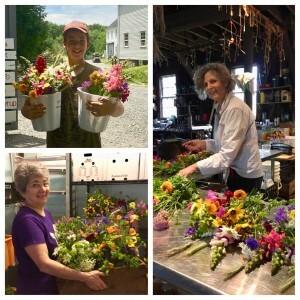 Every year, with more and more interest from the public in our programs, free events, raspberry picking, and farm tours, it is vital that we do have a professional staff to coordinate and manage all of the logistics of welcoming larger crowds to the farm safely and so visitors get the most out of their experience. Each year we continue to explore the balance between staff and volunteers because it is really important to us that we keep a strong volunteer presence on the farm. However, dedicating the time and labor to train and manage so many new volunteers can be very tricky (and sometimes even counterproductive) . So far, even with our small staff, we’ve been able to meet our volunteer interest, and it is so rewarding, especially when we get people who come back every week (even every day!) all season. We’ve had volunteers who have consistently come to help out each week for four years, and besides creating lasting relationships with those volunteers, they end up functioning like trained staff members and are invaluable to our efforts. It’s a great partnership, really. 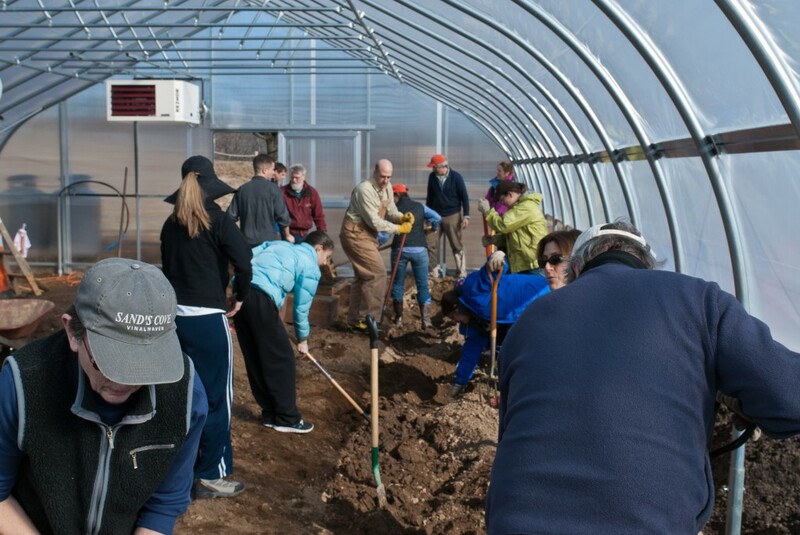 We are dedicated to the education of our community and, while workshops, classes, and youth programs are a great way to learn, volunteering is another avenue for experiential learning at the farm. Two great examples of where volunteers plug-in well to the farm are our U-pick Raspberry Operations and our Chicken Chore Volunteer program. While they are no longer being coordinated by volunteers (many thanks to Donna Wainwright, Susan Ampe, and Berit Ahmad for all of your hard work over the years), all of the day-to-day work is done by volunteers – and that’s no small feat. 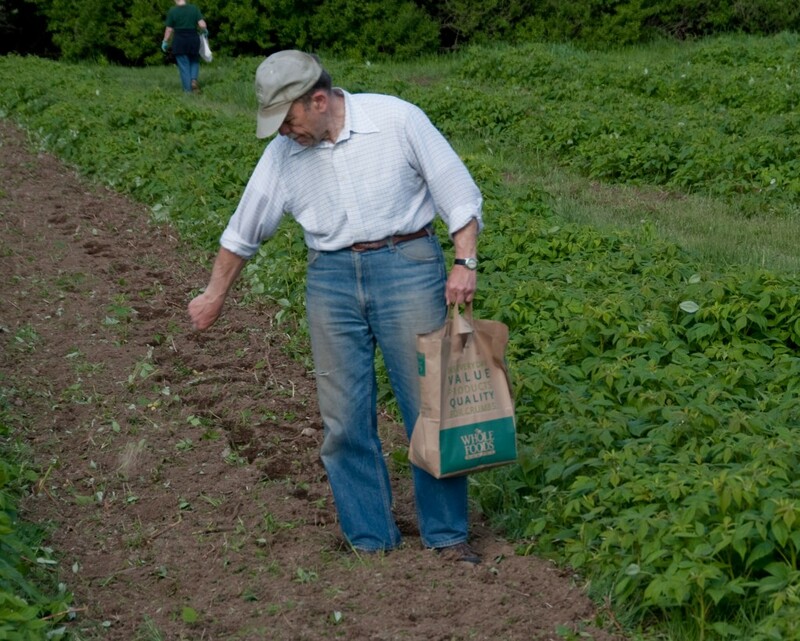 Once raspberries are ripe and ready to be picked, we open our fields to the public for 5 – 6 days a week. This means we need a constant presence on the farm to greet pickers, tell them where and how to pick the best berries (and what to avoid), help weigh and pack their berries, wash and dry all of the red-stained buckets, as well as setting up, and breaking down the raspberry station. That’s a lot of volunteer hours over two months! It ends up being a fun time – it’s a great way to enjoy some time outside, interact with other community members, and participate at the farm during the excitement of harvest time. 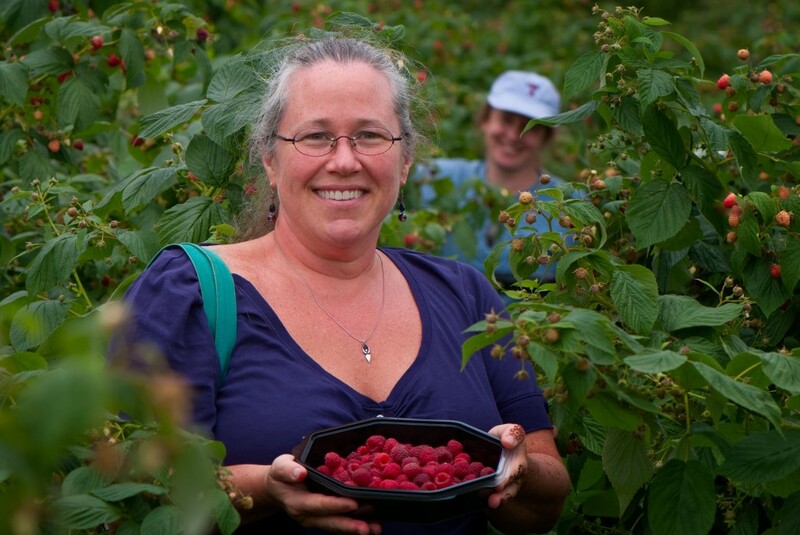 Volunteering with U-Pick Raspberries is a great starter opportunity, with its flexibility and easier time commitments. Our Chicken Chore program, while requiring more responsibility and time overall, has been very successful over the years and is such a great way to immerse oneself in “farm-life.” Chicken chores at the farm started about six years back when a local middle schooler suggested keeping chickens. Much like parents say to their children after they’ve asked to get a puppy, we asked “who’s going to take care of them?” She said “We will” – and that they did. 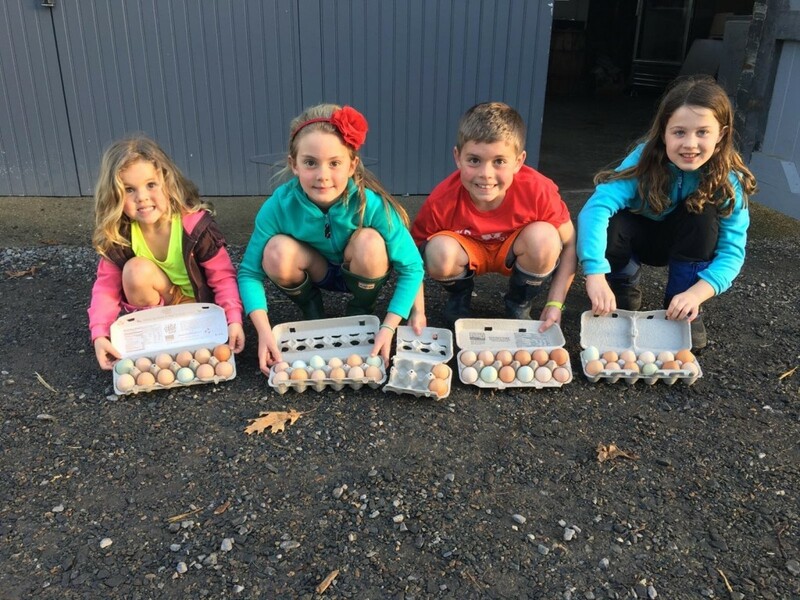 The program started with school children caring for baby chicks and then, after they brought them up to the farm once they were old enough, volunteers (some of the same families who raised them) continued to care for the hens daily. The system continues to this day. Of course, it’s not perfect – there are a lot of moving pieces and it’s hard to coordinate between so many people and sometimes we don’t have enough people to cover all slots, then staff members have to cover on top of their already full-plates. But overall, this is a program that thrives because of our volunteers and their dedication to taking care of these farm animals. 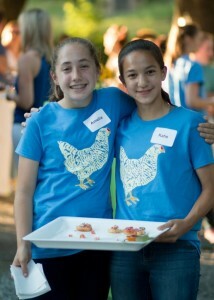 Many of our chicken chore volunteers are families who do chores together – it’s a great way for children (and adults!) to learn about farming, interacting with animals, working hard, and managing responsibilities. Unless you grew up on a farm or have a couple of your own backyard birds, it’s not an experience that many people get. We are so lucky to have such an involved community and we are excited to keep harnessing the ideas and efforts of our wonderful volunteers. If you are interested in volunteering at the Farm, check out our Volunteer Opportunities page or contact me at kkneeland@WLFarm.org. We’d love to have you up at the farm!